Saezuri High School Ok-Bu! 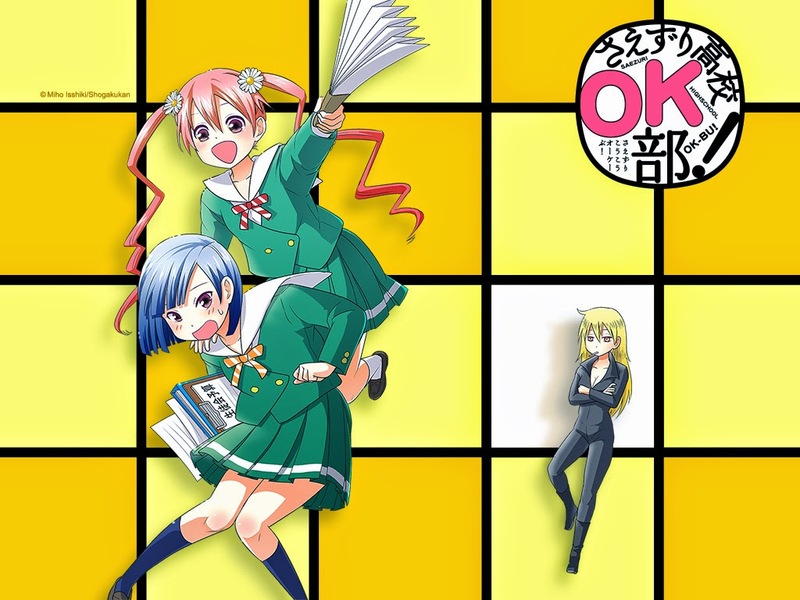 is a 4-Koma gag manga that follows the comical life of the members of the OK! Club. Saezuri High School Ok-Bu! began in issue 8 of Weekly Shonen Sunday by Miho Isshiki. The artwork is simple yet suits the comedic elements of the series.